Michele Bazzanella is a true adventurer with a big heart. Not only is she passionate about trail running but she sincerely cares about others and being kind to the earth. She often can be seen running merrily for hours with or without her dogs enjoying the beauty of the trails. She is also a very talented trail runner. 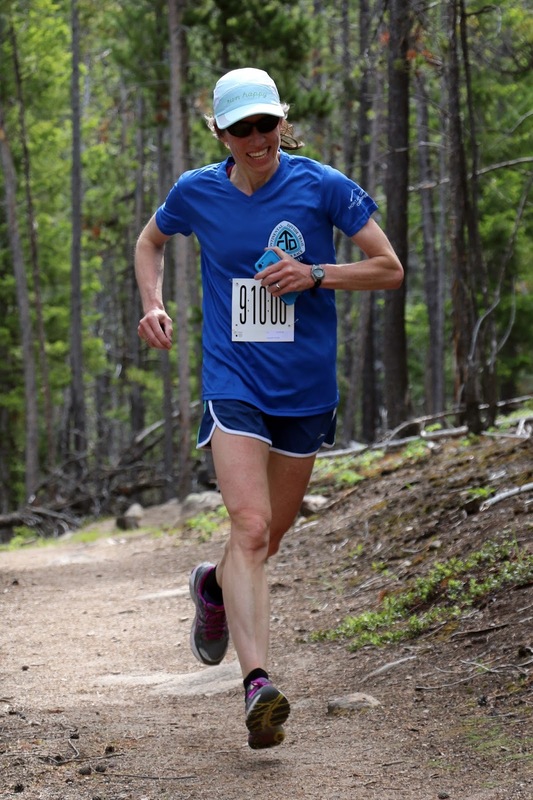 In 2000, Michele broke the 19 year old MT Helena record in 45:56 and still has one of the fastest times on that course. 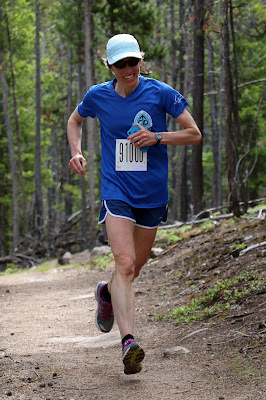 She also broke the course record at the 2010 Wulfman CDT and has one of the speediest times on that course too. She and I often run together for weekend long runs and have many memorable adventures. After our runs she picks up other people's garbage and recycles everything possible. She is a true steward to the earth. A little about myself, let's see ... I grew up in Columbia Falls and moved to Helena in 1991 for college. I lived and worked in Helena for 19 years before moving to Butte. I'm married, no children, and we have two adventurous dogs, Crooks and Della. I work as a CPA with Wipfli, LLP (formerly Galusha, Higgins and Galusha). My trail running started in the south hills of Helena, usually with my dog Bella (RIP Bella). Upon discovering that I loved running uphill on trail, I decided to run what I believe was my first ever trail race. It was the Mt. Helena Run. Running trails is where I had my first real running successes. Besides a daily dose of trail running, I am an avid reader, I like to cook, I enjoy making quilts, and of course I enjoy quality time with friends, family, and our dogs. What is on your top 5 trail running bucket list and what have you already checked off your list? I do not have a bucket list. I love to explore areas I've not seen and attempt new routes, but in all honesty I am a creature of habit. It is normal for me to run with my dogs on the same trail 4 days per week. I know every root and rock and yet we always seem to have an adventure. Seeing the change in the plants and trees and angle of the sunlight through all of the seasons is satisfying to me. I like to repeat trails too, and the list of trails I want to make sure I run every year keeps growing. How do you think trail runners can help nurture and preserve nature and the environment in general? It is my hope that trail runners remember that we are using a resource when we run the trails, and that we remain good stewards. Trail running is naturally a low impact activity, but that does not mean we shouldn't attempt to leave an area in better shape than we found it. There are many ways to do that - pull some noxious weeds, pick up trash, avoid sensitive areas when they are wet or muddy, participate in a trail work day or put in some solo effort. We ought to pay attention to the politics around public land as well. I know that most of my trail running occurs on public land, and I am concerned by the dangerous rhetoric I am hearing regarding our land. At events there are simple actions trail runners can take to decrease the waste. Imagine the reduced impact a race would have if fewer plastic bottles were used, and if every plastic bottle made it to a recycling bin. We should not make it the job of the volunteers, just take the plastic bottle home or elsewhere and recycle it. We can take another step and stop giving away items destined for the landfill as awards and prizes. What is your role in the Wulfman 14k trail race? The Wulfman 14k race is a point to point trail race over a beautiful nine mile section of the Continental Divide Trail near Butte. 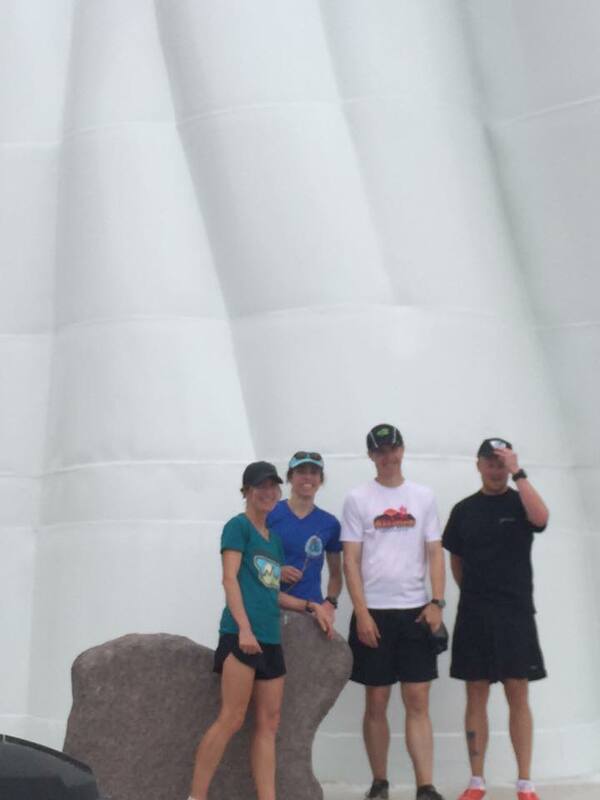 My role has expanded over the years, and I now share race director duties with two others. They are Jeff Braun and Amber Wood-Jensen. Together we work with a small race committee and a team of dedicated volunteers to host our event. What trail runs would you suggest around the Butte region? There are too many to list! 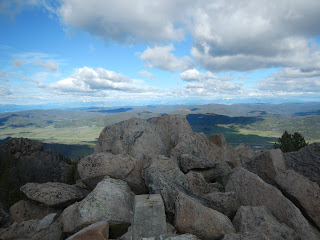 The best run for view from the top has to be Haystack Mountain, and the best Butte Piss and Moan Runner tradition is running to the Lady of the Rockies on January 1st or the 4th of July. Any section of the CDT will not disappoint, Lost Creek near Anaconda has been recently improved and is a stunning area, running to the Ringing Rocks in the Pipestone area is fun in the early spring or late fall, and is particularly interesting during rifle season. Explore Thompson Park by looping around the trails and running through the long tunnel. 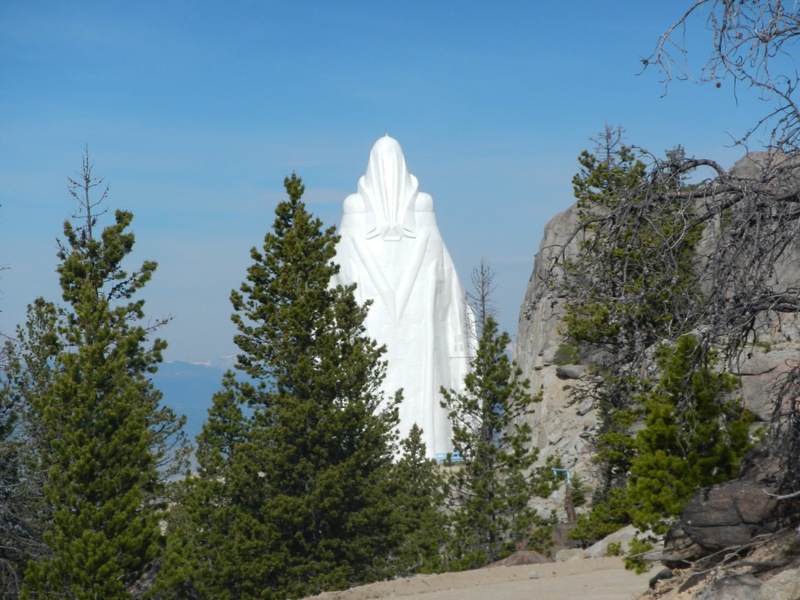 Our Lady of the Rockies is a 90-foot statue, dedicated to the Blessed Virgin Mary, that sits atop the Continental Divide overlooking Butte The. base is 8,510 feet above sea level and 3,500 feet above the town. 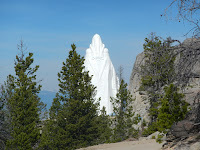 The statue is lit and visible at night. 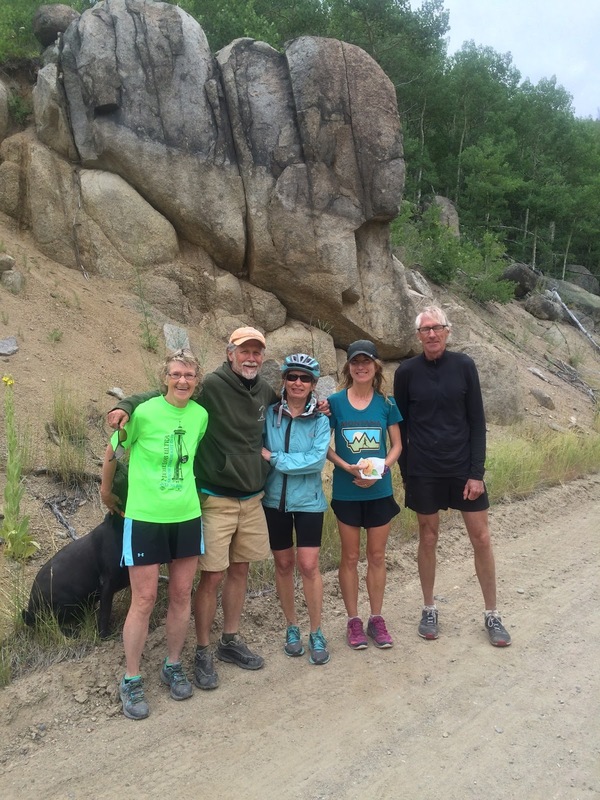 Thank you for taking the time to interview trail running enthusiasts! Thank you Michele for the interview. Thank you also for being such a kind, caring, cheerful person and friend. We sure appreciate all that you do for the community and environment.